The hardest part of any marketing task is communicating your message in just a few words. That’s less than 100 Characters, including spaces. And in that 100 characters you have to grab a person’s attention, differentiate yourself and entice them to click on your Ad among all others. Most firms we begin helping have a tough time saying what they do in a paragraph. One of the SEM mentors I follow posted this video, which I think sums all this up in two spoken sentences and one written one. Can you describe your company in seven words or less? Give it a shot, you may be surprised at the results! Google Adwords Big Change Coming? While catching up on the latest SEO articles, a disturbing post showed up today. 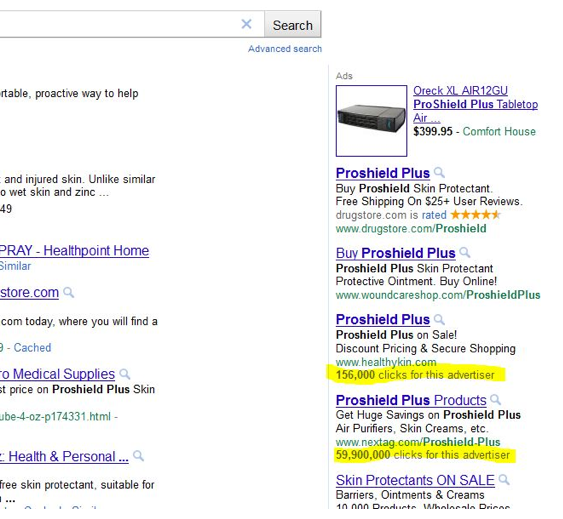 It appears that Google is testing the effects of showing how many clicks an Ad or Advertiser has previously gotten. While we promote Google Adwords to many of our small business clients, there are various aspects that are real disadvantages to them. The overall complexity and several default settings are definitely an issue for SMB and independents without some type of Search Engine Marking (SEM) resource. Showing “Clicks for this Advertiser” in the Ad will create a very unfair advantage for large brands, big Ad budgets and National Ad agencies. Notice that the top Ad has 156,000 previous clicks and the one below it has 59,000,000. Which would you click? We’ve been very successful pitching SMB Ads against major brands with deep pockets. We rely on niche targets, whether time spots, longer tail keywords, more refined and selective demographics or sites. If successful, our Ad typically shows higher than the wider casting net of the big check books. Think of it another way. A big budget allows for less granular keyword bids, less related Ad text to keywords they are bidding on and finally, paying a bit higher due to a lower quality score. If we are able to place our SMB Ad alongside the more generic text from one of their Ads, we stand a better chance of getting the click due to our more relevant copy and keywords. Unless that other Ad has 59,000,000 clicks displayed and we only have 156,000. The real shame? All 156,000 of our visitors could have bought a product, while 200,000 of those other clickers could have bounced away from that site’s competing product immediately without buying anything. If that Advertiser’s 58,800,000 of those clicks are for Ads that send them to another page, not that related to our client’s product, then they won’t even be penalized much. And the users that might have clicked and bought, will instead gravitate towards the Ad with more clicks due to the Lemming Effect. 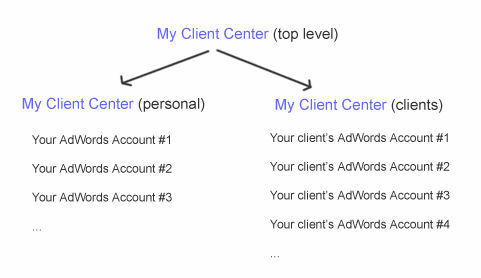 This also means longer running Ads and Advertisers could have better click through rate (CTR) advantage. I’ve recently had the opportunity to roll up my sleeves and spend time in the ‘low power/long range/long life’ wireless industry. I’ve found it very intriguing and am going to focus on this industry for the foreseeable future. Why? A five-year old company in my home town, Synapse-Wireless, seems to have quite the tiger by the tail and all the right gear to tame it. But, rather than spend time on this specific company, I think it’s important for ‘my business owners’ to learn how Synapse-Wireless got to where it is today…or really where it started. Hi, remember Me? 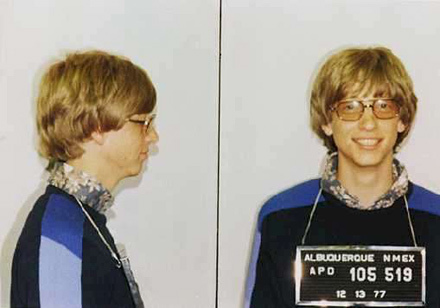 Bill Gates! I first started Micro-soft (yes, originally, I used a ‘hyphen’ in our name) as a programming language company. My first product was a Basic Language Interpreter and my second was Xenix (a variation of Unix). My third product was a Tools application, called Word…which somewhat started the original What You See Is What You Get (WYSIWYG) visually oriented word processor. But, my real bread winner was MS-DOS…several years after agreeing to create DOS for IBM in 1981. So, Microsoft became successful on Bill Gate’s second variation of its FOURTH product. And MS-DOS was actually a by-product of DOS, which Micro-soft was contracted to develop. Due to IBM’s poor thought-out licensing deal AND several successful IBM-BIOS re-engineering from Compaq and two other companies, Microsoft’s ‘by-product’ sales exploded. There are other examples of by-products actually being the big bread-winner for companies. In one case, the by-proudct producing billions in revenue was deemed ‘not viable’ by the founders. You may have heard of a small company called Google. Google has billions of dollars of revenue from a by-product idea that wasn’t even the company founders’ own because they were originally against the concept. Google has added a new feature to Google.com when searching from “location aware” GPS smartphones such as Apple’s iPhone & Android-based ones. Now, if you search on Google.com from your iPhone, and have allowed it to access your location, you’ll see a “Near Me Now” feature. You are initially shown some basic categories at the bottom, but you can expand those to include a range of businesses defined in various categories within Google’s Local Business Center. I’ve previously blogged about the importance, especially for retail shops, of getting your business registered within their LBC. I believe Google’s 2010 focus will be on enabling small businesses to embrace these ‘new’ online advertising tools, by making them simpler, more effective…and pervasive. If you aren’t sure how to get started, call me or send me an email. I’ll be glad to spend some time just conversing and we’ll see what makes sense. Want to use SMS, the top Mobile Marketing Method? Mobile Marketing. I’ve blogged several times about one of the most important upcoming marketing venues of the future, IMO. Earlier this week, I blogged about a report that shows SMS, or Text Messaging, marketing showed huge success numbers, compared to both traditional and online click through rates (CTR) and more. And just hours later, I blogged about a Google announcement where they have enabled registered Businesses within their Local Business Center to display a “Click to Call” button when map searches on iPhones and other capable smartphones are conducted. The user, rather than clicking on a link to read more can click on the displayed phone number and they’ll automatically dial the business. I’ve had several companies contact me directly for more advice on how to begin or evaluate this method. Here at Astute Marketing, we believe we can help most small businesses figure out the best use of their marketing budget…and for some it will include some SMS marketing going forward, I believe. I do find it interesting that not ONE person wanted to comment publicly about adopting it. All my inquiries came directly to me in my in-box. Seems they’re like me, not 100% convinced they want to use this method but as good business managers they realize they’d better consider it. Now today, QWASI, Inc (“one of the leading enterprise mobile marketing application companies”) announced the QWASI Mobile Marketing Center 2.0. It’s intended for small to medium sized US businesses that want to build, manage and analyze mobile marketing campaigns. Disclaimer: I have not used, nor can I recommend the QWASI technology at this time. If you would like for me to evaluate the platform for you, please let me know and I’ll get started on it soon. Wow, talk about timing. I don’t think my last blog post about the impressive response percentages to SMS or Text ‘Marketing’ messages had even managed to hit most RSS streams before I saw the below Google announcement on a new “Click to Call” business feature sent to my inbox. While I think overall this is a fantastic opportunity for most retail businesses, I’m not thrilled with the limited flexibility they provide as to how to control whether your business phone number shows or doesn’t show. We’re pleased to announce that beginning in January, your location-specific business phone number will display alongside your destination url in ads that appear on high-end mobile devices. Users will be able to click-to-call your business just as easily as they click to visit your website. You’ll be charged for clicks to call, same as you are for clicks to visit your website. How will phone numbers appear in my ads? Based on the customer’s geographic location, the phone number and closest business address will appear as a fifth line of ad text when the ad appears on mobile devices with full HTML browsers (e.g. iPhone, Android, Palm WebOS). Where will I be able to see the results? At launch, you’ll be able to view calls from your ads on your Campaign Summary page within AdWords from the “click type” segment option under the “Filter and Views” drop down. How will I be charged for phone calls I get from my ad? The cost of a click to call your business will be the same as the cost of a click to visit your website. What actions should I take? If you’d like your ads to show location-specific phone numbers when displayed on mobile devices, make sure that your campaign is targeting iPhones and other mobile devices with full HTML browsers, and that you have included phone numbers with your business addresses in the locations under your Campaign settings. If you would prefer your ads not show phone numbers, simply remove the phone number from the business listings included in your campaigns targeting mobile devices. We hope this new feature enables you to connect more easily with your potential customers. If you have any questions or feedback, please email us at ctc-feedback@google.com.